Most Sundays (barring weather or events going on both at the park and in the SCA) practice can be found at Girard Park by the UL campus. Below is a map to help those not familiar with the area to find where we like to meet one another. 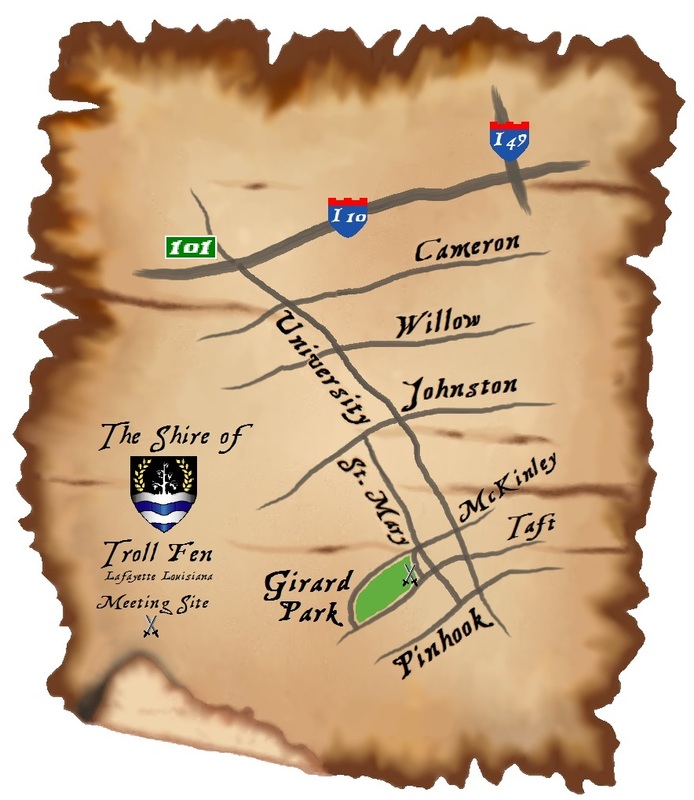 This is the recognized web site for the Shire of Troll Fen of the Society for Creative Anachronism, Inc. and is maintained by THL Nicolo Marcello. This site may contain electronic versions of the group’s governing documents. Any discrepancies between the electronic version of any information on this site and the printed version that is available from the originating office will be decided in favor of the printed version. For information on using photographs, articles, or artwork from this web site, please contact the Webminister at gro.n1556072577ef-ll1556072577ort@r1556072577etsin1556072577imbeW1556072577. He or she will assist you in contacting the original creator of the piece. Please respect the legal rights of our contributors.